TORONTO, October 6, 2016—The 25th annual Cathay Ball, a fundraising gala to benefit the Mon Sheong Foundation, will be held at the Metro Toronto Convention Centre on Saturday, November 5, 2016. The theme of this year’s gala, “The Peony Masquerade”, fittingly combines the traditional Chinese symbol of honour and prosperity with a western icon of elaborate festivity and celebration. Guests are encouraged to dress in costumes for the occasion while masquerade masks will be given out to add a hint of intrigue and mystery. Proceeds from the Cathay Ball will be used to support Mon Sheong’s long-term care centres and other charitable initiatives. The silent auction is a guest favourite at the Cathay Ball every year and will once again showcase over 150 fine items. The winner-take-all special draw will also be back. To go along with the 25th gala theme, there will be 250 special draw tickets available, priced at $100 each. One lucky winner will take home a pair of premium economy Air Canada tickets from Toronto to Europe along with a $1,000 cash prize. Mrs. Teresa Tazumi of Presenting Sponsor CIBC remarked, “CIBC is very proud to be the Presenting Sponsor of Cathay Ball 2016. Over the years, we have been very supportive of the work of Mon Sheong, and we are also pleased to witness the significant contributions they are making toward the Chinese community, especially in the areas of youth development and quality elderly care.” To commemorate this special occasion, CIBC will be giving away 25 Year of the Rooster pre-release silver coins to guests at the event. 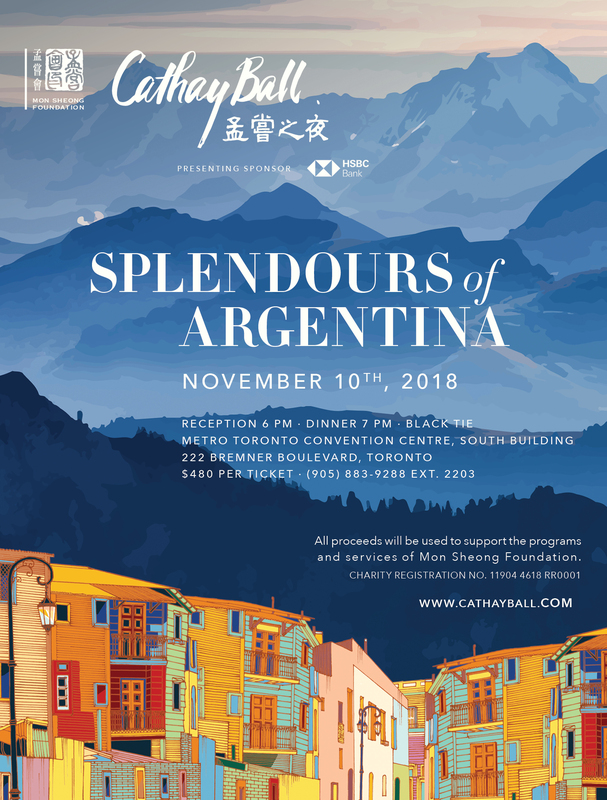 Every year, over 1,000 guests are expected to attend the Cathay Ball, many of whom are government officials, business leaders, and prominent members of the community. 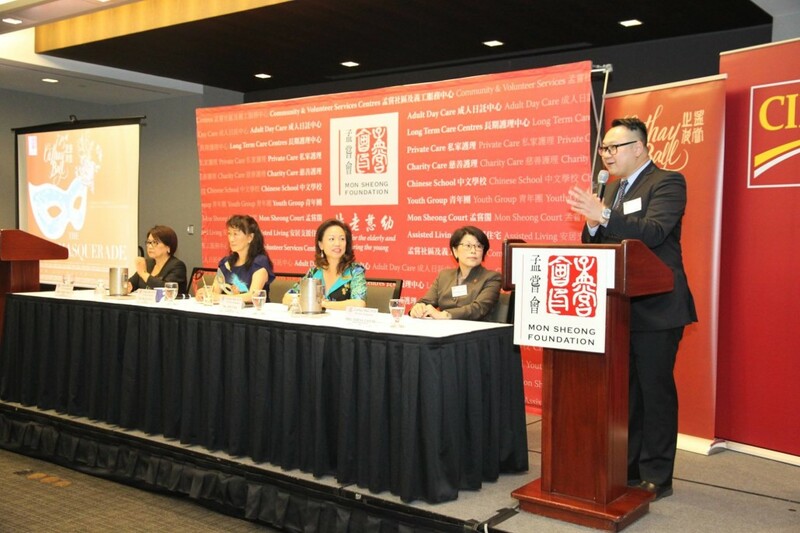 The Mon Sheong Foundation would like to express its sincere gratitude toward all the sponsors who make the Cathay Ball possible, including Presenting Sponsor CIBC, Diamond Sponsor MediSystem Pharmacy, Official Airline Sponsor Air Canada, Gold and Design Sponsor Palettera, and other supporters. Their continuous support enables Mon Sheong to extend its quality services for those in need. In addition, everyone can support Mon Sheong by purchasing Mon Sheong Charity Raffle tickets, sending their well wishes to the elderly while enjoying a chance to win some great prizes. Raffle tickets are sold at $10 each at selected Chinese shopping centres and all Mon Sheong Long-Term Care Centres, Mon Sheong Community and Volunteer Services Centres, and Mon Sheong Court locations. Prizes include: one Air Canada Premium Economy ticket from Toronto to Shanghai with an eight-day Shanghai Jiannan tour (valued at $4,649); a Nikon D7100 DSLR camera (valued at $1,696); a Lenovo Yoga 700 notebook (valued at $1,357); an Asus Zenbook computer (valued at $1,018); a Polar V800 smart watch (valued at $565); and six LG BP350 Blu-Ray disc players (valued at $118 each). Prizes are sponsored by Canada Computers, Air Canada, and Jade Travel. Tickets for the Cathay Ball are available for $400 each; corporate tables for ten guests are available for $4,800. To purchase gala or raffle tickets, or to receive more information, please call 905-883-9288 ext. 2203 (toll free: 1-866-708-0002) or visit www.cathayball.com.